A couple small water studies, each 8″x10″. I always seem to come back to these meditative pieces. I have been experimenting with some gel medium in the paint for a little thicker texture. It definitely changes the behavior of the paint in interesting ways. If the ratio of paint to medium is too high the dry color becomes a bit unpredictable, which isn’t a great thing! This little collection of paintings was a commission for a client in England. They were picked up at my house by FedEx which was very convenient! 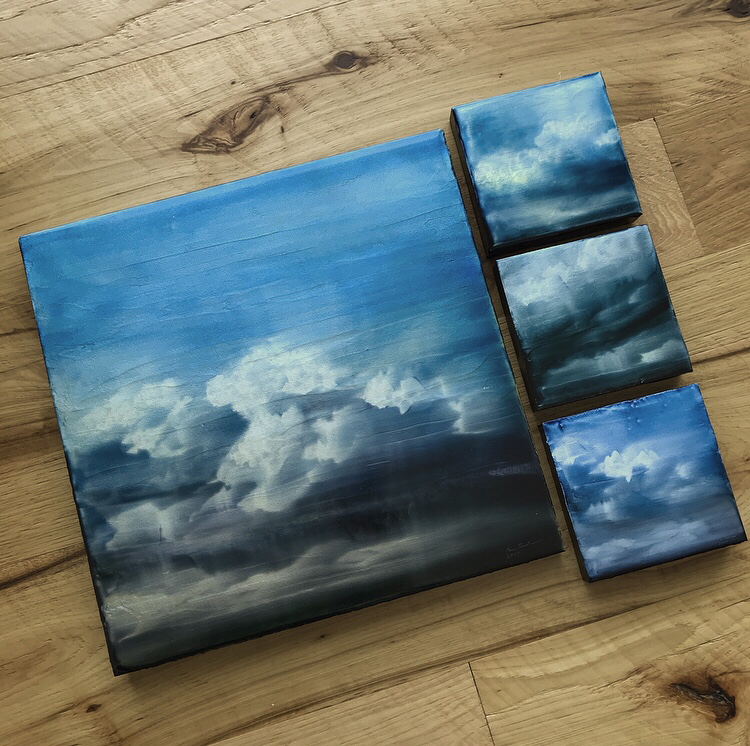 The larger painting is 14”x14” and the smaller works are 5”x5”. These are some of the Endless Roar paintings I had started a while back. I finished them since the previous post. Here are five of them! You can see some of the texture showing through the paintings. The texture seems to shift with the lighting and angle of view.